Posted on December 7, 2017 by admin wrote in Market Analysis. It has 0 Comment. 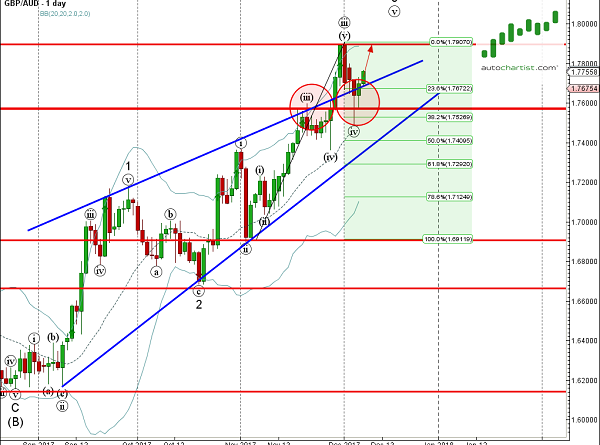 GBP/AUD continues to rise inside the 4-hour Up Channel chart pattern which was recently identified by Autochartist. Autochartist rates the quality of this Up Channel at the 4-bar level – which is the result of the slow Initial Trend (3 bars) and average Uniformity and Clarity (both rated at the 5 bar level). GBP/AUD is expected to rise further inside this Up Channel – in line with the earlier upward reversal from the strong support area shown below. 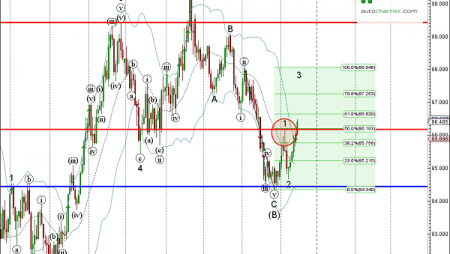 As can be seen from the daily GBP/AUD chart below, the price earlier reversed up with the daily Hammer from the support area lying between the support level 1.7570 (former resistance level from November), 38.2% Fibonacci correction of the previous upward impulse from November and the upper trendline of the recently broken dally Rising Wedge from September (acting as support after it was broken). 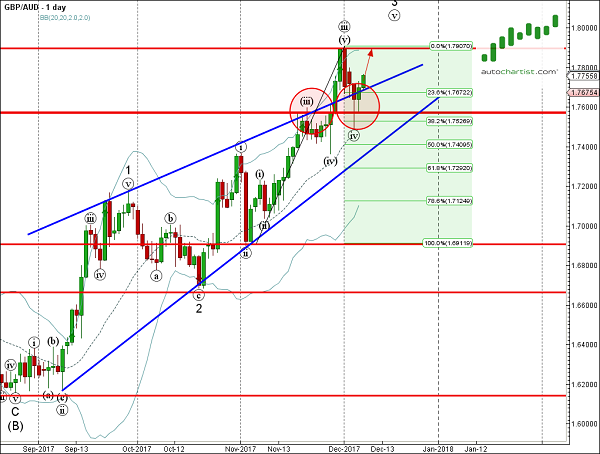 The proximity of this support zone increases the probability GBP/AUD will continue to rise inside this Up Channel.